19TH CENTURY: Members of fashionable society leave their engraved calling card on a silver tray in the hall (or with Charles, the faithful butler) when a hostess is unavailable to receive them. Arrival of the telephone eventually renders this quaint custom obsolete, leaving poor Charles with perhaps too much time on his be-gloved hands. 21ST CENTURY: Calling cards re-emerge in esteemed society, taking their rightful place among the most elegant forms of social networking. 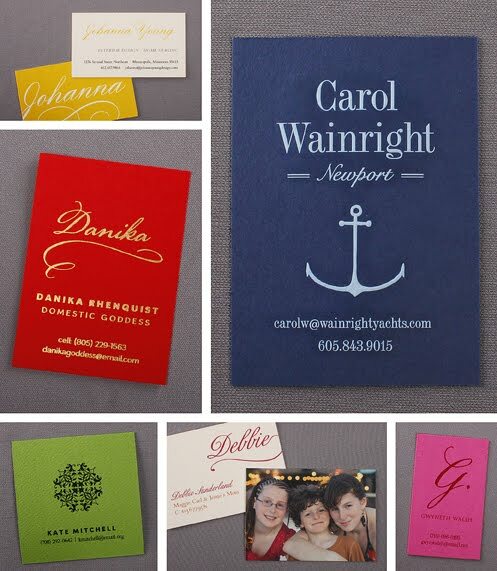 Connoisseurs flock to acquire personalized calling cards. High society and blogosphere abuzz. 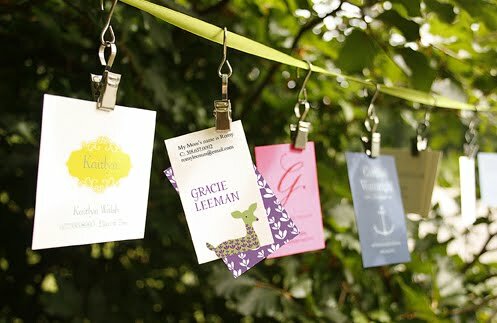 SUMMER, 2012: William Arthur creates digitally-printed calling cards for kids. Stylish, busy moms who want to share their child’s contact information with new friends adore this newest form of social media. Two-sided, accessibly priced, all good. For kids, moms—maybe Charles would like one, too. Coordinating digital photo correspondence cards and thank you notes for girls can be found here. “HAVE YOUR GIRL CALL MINE.” Calling cards are a nice way to introduce children to thoughtful communication. And kids love having their own personal cards! Our digital calling cards for girls come in four sizes, all sweet! And it’s so fun to decide which colors to combine, which patterns to choose. Click here to play. Coordinating digital photo correspondence cards and thank you notes for boys can be found here. 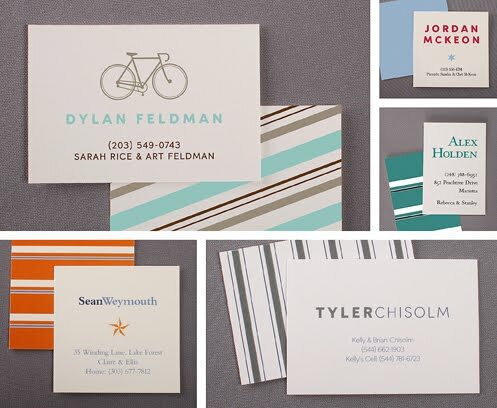 BOYS WILL BE... pretty doggone pleased to see their names in print on these nifty calling cards. 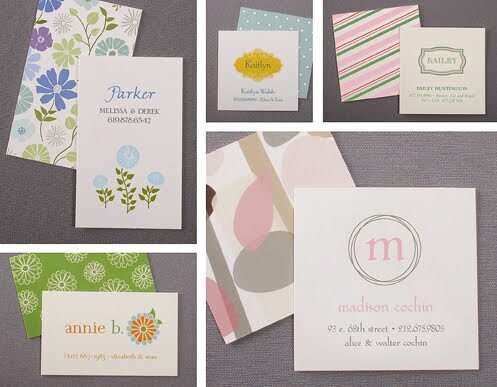 So many fun motifs, typestyles and digital ink colors to choose from. Create one for your kiddo here. WHEN MAMA’S HAPPY, EVERYONE’S HAPPY. Treat yourself, too—how can you resist? Hmmn, foil on cheery red? Zesty bright green and black? Or a digital card with a photo of your favorite people on earth? William Arthur has dozens upon dozens of calling cards we think will make kids and moms pretty happy. See a retailer near you for our entire collection.